In addition to making deals with high-profile creators from other social platforms and signing up TV shows to have them stream direct onto their platform, Facebook's continuing to develop its core live-streaming product, announcing three new features today to help boost adoption of the offering. The first update will enable streamers to go live in full-screen mode, maximizing screen real-estate and providing a slightly bigger canvas for creators to work with. Facebook first introduced the capacity to record in landscape back in January but your video still appeared in square aspect ratio regardless of whether you held the phone horizontal or vertical. As you can see in the above screenshot, this update enables users to see your video on the full horizontal screen, making it a more immersive experience. 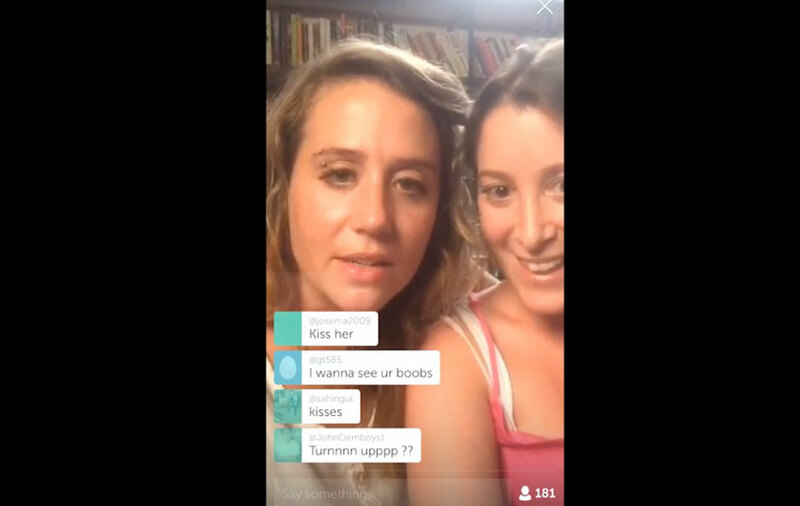 And also worth noting, Periscope added similar functionality last September. The new option will be made available to broadcasters via iOS straight away, while Android users will get access to full screen mode later this Summer. Facebook's also announced that publishers can now stream for up to four hours per session - more than double the previous limit of 90 minutes. This comes in addition to an update to the Facebook Graph API last week that will enable those utilizing the API to broadcast for an unlimited time. Use cases for such a feature include zoos and museums who want to provide live access to events and exhibits. That feature, though, is more aimed at professional broadcasters and set-ups - for everyday users, increasing the limit to four hours will give them more time to hold discussions and interact with their audiences via streams. 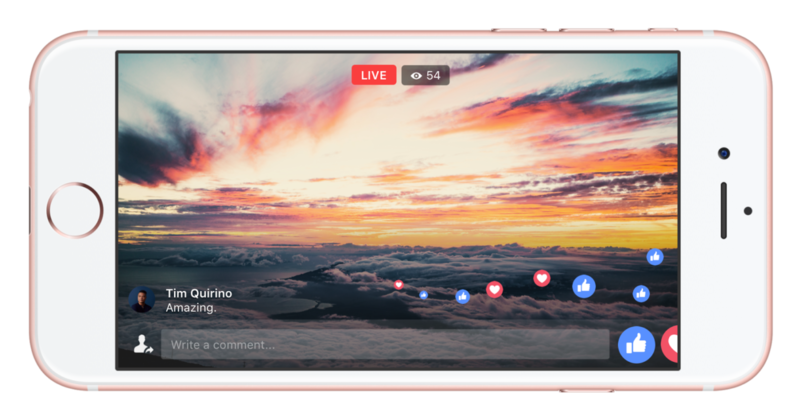 Facebook says they've made this update in response to requests from both users and publishers, so clearly those who are using and watching Live content are pretty engaged with what they're seeing. And the third, and final, update - though possibly the most significant - is the ability for both viewers and broadcasters to hide reactions and comments on videos. While being able to interact with broadcasters is a fundamental element of the live-streaming process, there have been complaints and concerns raised about the presence of reaction emoji on screen during more serious streams (like the recent Dallas police shootings), while trolls can also quickly ruin the live experience, as many streamers - particularly female users - have found. And while this doesn't solve the problem of harassment, it does provide a way for broadcasters to switch it off to avoid any such distraction, while also making it easier for both viewers and broadcasters to focus on the content, as opposed to having their eyes dart back and forth between the comments and the stream. You'll be able to hide the comments and reactions on a Live video by swiping right, and bring them back by dragging from the left. Facebook's betting big on Live and on its capacity to become a much bigger part of the wider Facebook experience. 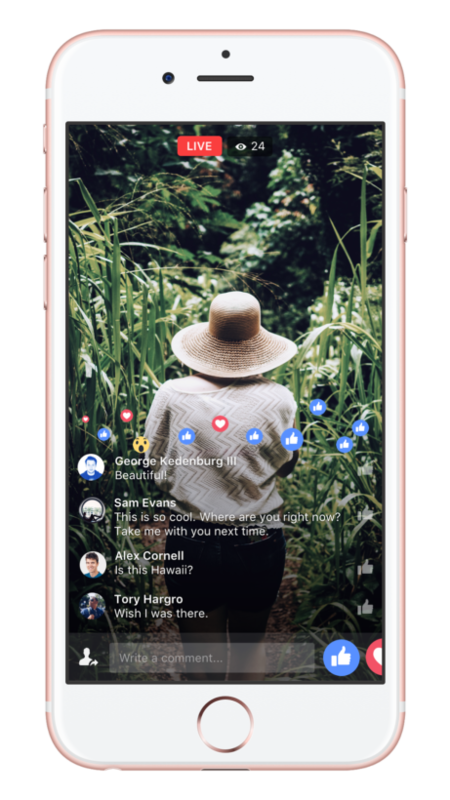 And while these updates are relatively small in themselves, they all add to the bigger Live scope, improving the offering as Facebook works to boost its appeal and adoption.